Horns Illustrated Magazine features complete coverage on all University of Texas sports, with special emphasis on the Longhorn football program. Follow the Cornhuskers all year long with 18 hard-hitting issues including the Bowl Preview issue and the Special Recruiting Edition. 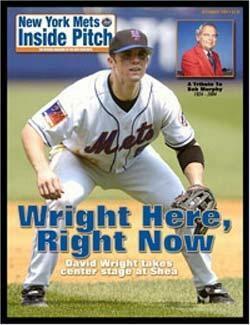 Inside Pitch Magazine provides comprehensive "insider" coverage of the New York Mets. Get in-depth stories and features on your favorite Mets players, coaches and minor league prospects in a glossy format, complete with beautiful color photography.